Getting your kids to eat anything other than candy on Halloween is a challenge. Even before they head out trick or treating, they've got one thing and one thing alone on their minds - the goods. Snickers, Twix, M&M's, Sour Patch Kids - it's a fun-sized candy dream come true, so if you think they're going to be game for sitting down to a chicken and broccoli dinner ahead of candy hour, think again. 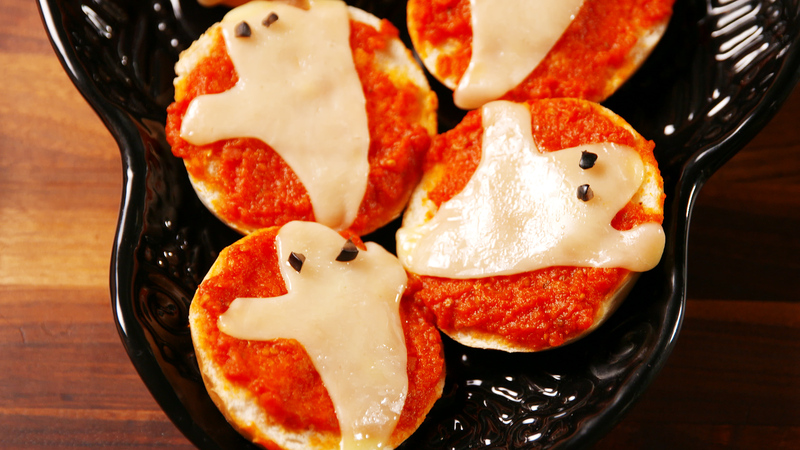 But a Halloween dinner is possible, you just have to get creative. 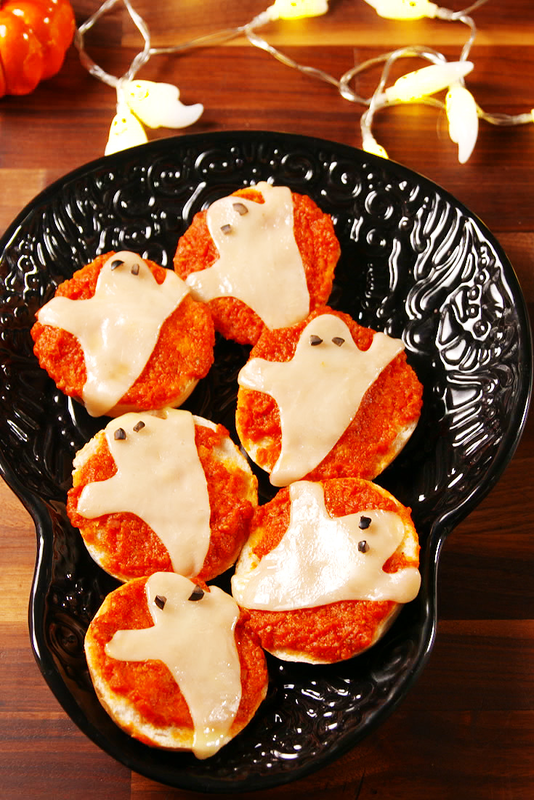 Enter ghost pizza bagels. 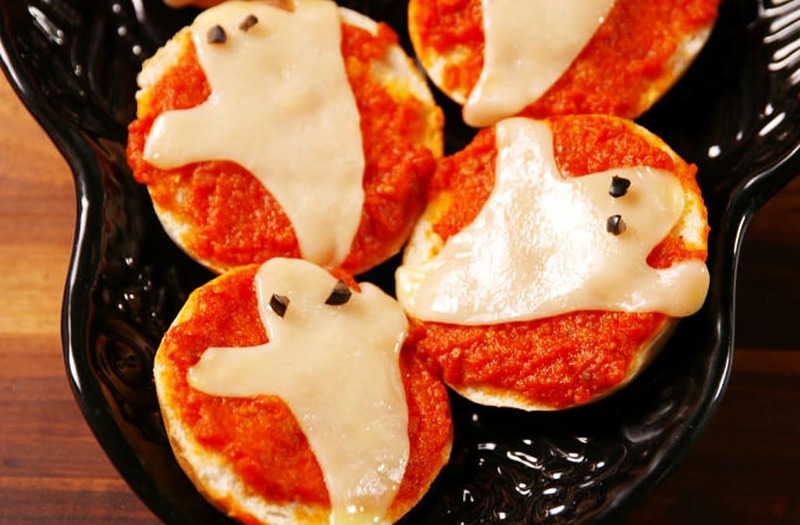 Ghost pizza bagels are the answer to your Halloween nightmares because they're easy to make, your kids won't fight you about eating them, and if there are leftovers, they're totally cute and grown-up enough that you can serve them at your own Halloween bash. All you do is spread marinara over a cut bagel, shape mozzarella into ghosts with a pairing knife, place on top of the marinara, and bake for ten minutes. Top with black olives (or pepperoni!) for eyes and you're ready to bring the haunts. 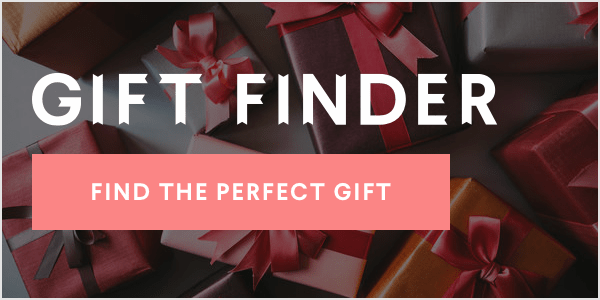 BUY NOW: Pairing Knife, $16; amazon.com. Leftover pizza for you ... sparing yourself your kids candy-for-dinner sugar rush .... I'd say this is an all around win.